In today’s highly technological climate, many consumers have picked a side where books are concerned: print or e-books. However, according to a new study, traditional print books reign supreme when it comes to quality time between parents and their toddlers. 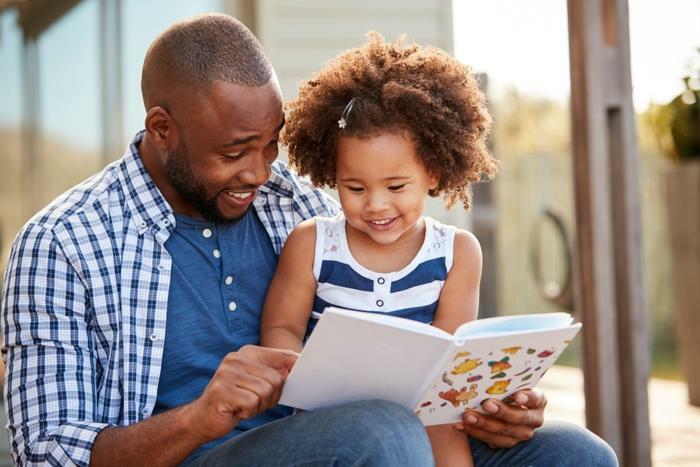 Researchers from Michigan Medicine at the University of Michigan recently found that when parents read to their young children for story time, there is more conversation and interaction when a print book is used instead of an electronic book. To see how interactions changed between parents and children when they used e-books versus print books, the researchers had 37 parent-children pairs try reading on three different formats: regular print books, e-books on a tablet, and e-books that featured animations and sound effects. Overall, the researchers found that both parents and toddlers talked less while reading either of the e-books when compared to a traditional print book. Additionally, when e-books were used, the majority of the conversation was about the technology, as opposed to the story or any outside anecdotes. Dr. Munzer notes that the commentary parents offer while reading often has lasting effects on children’s development. Things like asking children questions that can relate to their own experiences or the world at large have been found to help children mature. Conversely, e-books -- particularly those with the added animations and sound effects -- didn’t offer as many opportunities for parents to chime in on their own. Instead, the researchers speculate that parents let the story itself command attention. The researchers hope that this study encourages parents to keep their interactions consistent across the board when reading to children, regardless of what format they choose. A recent study explored how reading and writing in the home can affect children for their whole lives. Researchers found that reading and writing at home led children to have stronger time management, impulse control, and goal-setting skills, all of which lasted well beyond childhood. "People who are good students tend to become good employees by being on time and putting forward their best work. All of the things that make you a good student also make you a good employee," said lead researcher Nicole Alston-Abel. "If you make sure your child is academically engaged at home through third grade, kids go on autopilot -- they know how to 'do' school after that,” she added.